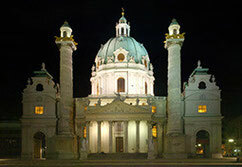 A magnificent religious building with a large cupola: St. Charles' Church, the last work of the eminent baroque architect Johann Bernhard Fischer von Erlach. 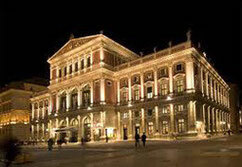 The concert hall contains the world-famous Golden Hall, in which the Wiener Philharmoniker celebrate the New Year's Concert every year - attracting a television audience of millions around the globe. 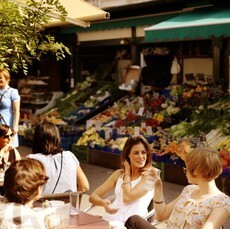 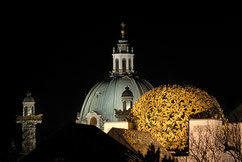 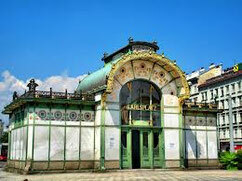 Special tour for music-lovers, foodies and those who would like to get in touch with Viennese Art -Nouveeau! 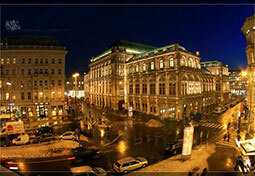 Coffee & Vienna - must do!